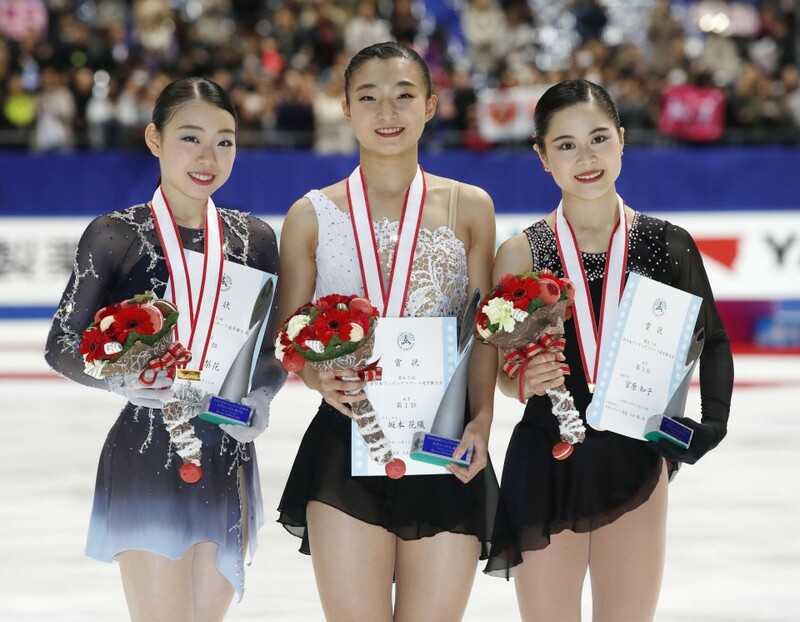 Kaori Sakamoto upstaged Grand Prix Final champion Rika Kihira and four-time champion Satoko Miyahara to win the women's competition at the figure skating national championships on Sunday. On a night when Japan's top women skaters put on a series of superb free programs, Kihira set an improbably high target with a 223.76 total, but Sakamoto pulled out a clutch performance as the night's final skater at the Towa Pharmaceutical Ractab Dome in Kadoma, Osaka Prefecture, to earn 228.01 points overall. The 18-year-old Sakamoto, second in Friday's short program with a 6.9-point cushion over Kihira, scored 152.36 in a flawless free skate that left her pumping her fist. "I didn't think some of my jumps had the same energy they usually have, but this is the first time I've cleared 220 points. With over 150 in the free skate, I'm more than satisfied with this score," said Sakamoto, who competed for Japan this year at the Pyeongchang Olympics. "I was so nervous I could hear my pulse, but I was still able to execute the free program my coach planned out for me." The victory earned Sakamoto a trip to the world championships in March. 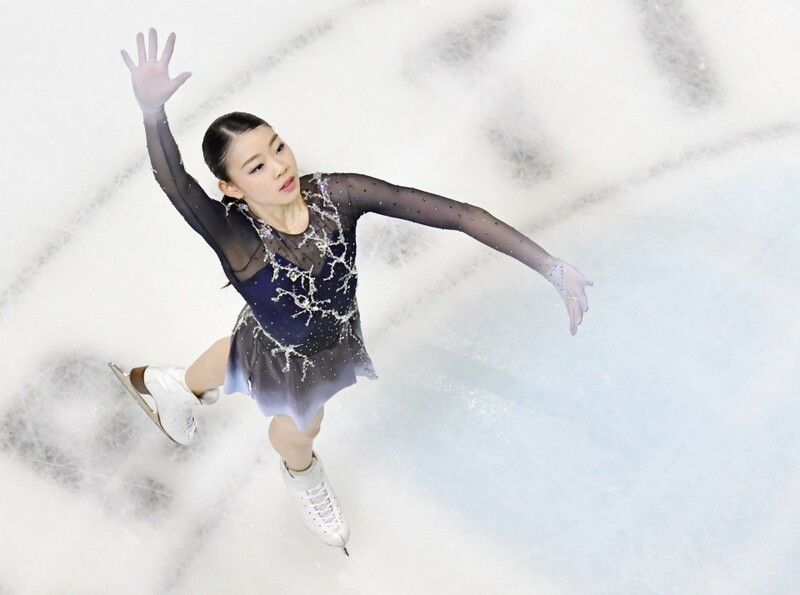 Two nights after failing to land her opening triple axel, the 16-year-old Kihira nailed two of them at the start of her program in a composed performance that earned her 155.01 points. "I was really able to concentrate," said Kihira, who suffered her first defeat of her senior debut season. "I was able to regain my strength in the free program." The national title appeared to be Kihira's when Miyahara, who won the short program, had only the slightest of hiccups in her free skate. 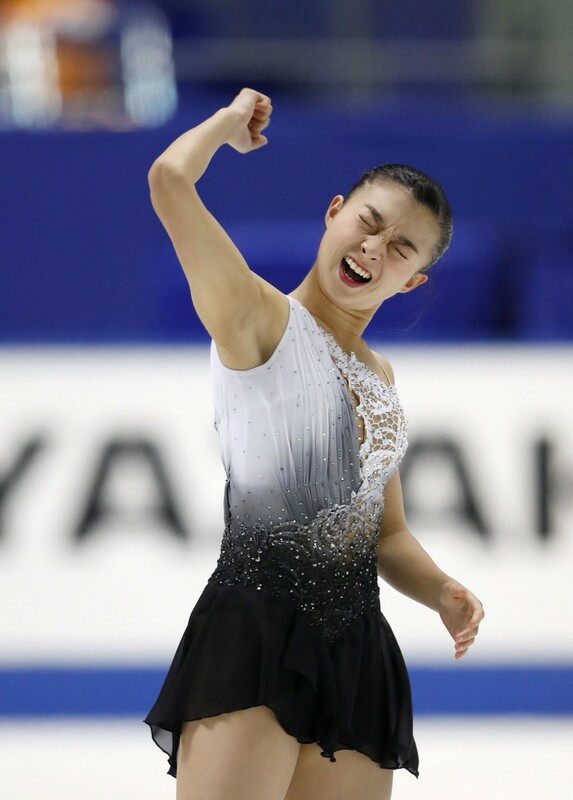 But that left the 20-year-old Miyahara 0.42 off the lead and visibly disappointed when her score was announced. Mai Mihara also performed a dazzling free program, but that could only earn her a 220.80 final score and fourth place. The national championships will conclude on Monday, when Shoma Uno, winner of Saturday's short program, will seek his third straight national championship.